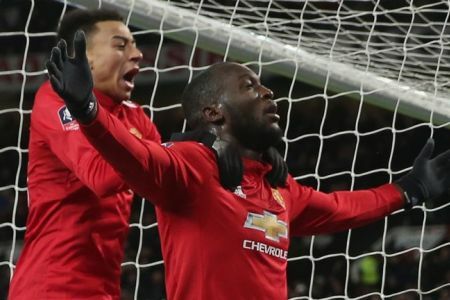 Romelu Lukaku scored his 12th goal in 11 FA Cup games as an uninspired Manchester United beat Brighton to reach the semi-finals. Old Trafford was a deflated place following United’s dismal exit from the Champions League against Sevilla on Tuesday but goals from Romelu Lukaku (37) and Nemanja Matic (84) lifted the spirits. Victory maintained realistic United hopes of a trophy as well as their record of not having conceded a goal in this season’s FA Cup. Jose Mourinho’s side will find out their opponents for the semi-finals on Sunday evening.